Last year, Point Entertainment brought Sarah Borges to Philadelphia for a show at MilkBoy Philadelphia as the opening act for the Bottle Rockets. The show by the Boston-based rocker was hit. She went over big-time with Bottle Rockets’ fans and made a strong impression on the show’s presenters. “The show by Sarah Borges at MilkBoy was the best rock-and-roll show of 2018 in my opinion,” said Point Entertainment’s Jesse Lundy. The show- and the fans’ reaction – was so nice, they’re doing it twice. On January 24, Point Entertainment is bringing Sarah Borges & The Broken Singles back to Philly for a show at Dawson Street Pub, 100 Dawson Street, Philadelphia, http://www.dawsonstreetpub.com/). When Borges straps on her guitar and starts to sing, she rocks out. There is country, punk, blues and rock in her musical DNA, but it is the rock element that stands out the most. Borges, who arrived on the national music scene in 2005 as the lead singer of the Broken Singles, has gone from frontwoman to solo act, to frontwoman again. 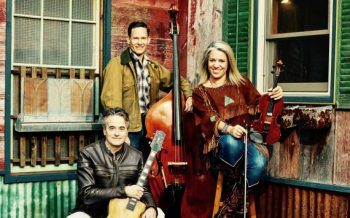 Back in October, Sarah Borges & The Broken Singles released their sixth album – “Love’s Middle Name” — on Blue Corn Music. The last time she played town, she was backed by her producer Eric Ambel on guitar along with the rhythm section from the Bottle Rockets. Borges’ CV includes an Americana Music Awards nomination, multiple Boston Music Awards, and song credits on TV shows Sons of Anarchy and The Night Shift. The veteran musician, who is a resident of Taunton, Massachusetts, recorded “Love’s Middle Name” with Ambel in Brooklyn. “We recorded it last year with Eric on guitar, Binky and two different drummers,” said Borges. “And, I sang and played guitar. We made the album in multiple sessions at Cowboy Technical Service, which is Eric’s studio in Brooklyn. I’d make demos and then we’d go into the studio. “The album dropped on October 12 and we only played a couple new songs the last time,” said Borges. “We were opening for the Bottle Rockets, so we had a shorter set – a 45-minute set. I had to give a representation of all my songs for the new audience. Their new album and my new album came out the same day – and we’re fans of each other. Bottle Rockets have a rabid fanbase. Both the band and their fans were so kind to us. Borges’ old songs and new songs are all characterized by musical intensity. Video link for Sarah Borges – https://youtu.be/1cL0p9sC3tA. The show at the Dawson Street Pub will start at 8 p.m. Other upcoming acts at the venue in Manayunk are Seth Aaron Band on January 25 and Pitchfork on January 26. The Sellersville Theater (24 West Temple Avenue, Sellersville, 215-257-5808, www.st94.com) is a favorite destination for touring musicians. The sound is great. They get fed gourmet food from the adjacent Washington House. The theater is comfortable. Most importantly, the fans are great. 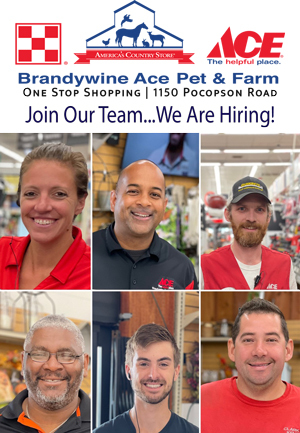 Sellersville isn’t near anything (except maybe Perkasie, Silverdale or Trumbauersville – you get the picture). So, fans in attendance have made it a destination – a trip planned in advance rather than a spur-of-the-moment decision made on the evening of the show. The Sellersville Theater is also a favorite destination for music fans. They appreciate the great line-up of talent hosted each month by the out-of-the-way venue – a line-up characterized by quality and variety. That variety is in evidence this week with a quintet of headliners from different genres – a singer-songwriter-rocker, a bluegrass band that has been around for more than four decades, a top-flight Frankie Valli and the Four Seasons tribute act, one of America’s best young jazz singers, and a rocking, blues-influenced power trio. It all starts with Lissie. Lissie has played shows at venues all over the area but there are a few still on her bucket list. The Sellersville Theater has a long and impressive list of acts who have graced its stage but Lissie is not one of them. That will change on January 24 when Lissie makes her Sellersville Theater debut. Lissie’s career path has not followed any norms. Rock musicians from all over the country migrate to California on a regular basis. Or, they might venture off to one of the country’s other hot spots for musicians such as Austin, Brooklyn or Nashville. If you’re a musician from the Midwest and have been able to break free from the gravitational pull of the nation’s heartland, chances are you’re not heading back anytime soon to the “I” states – Illinois, Iowa or Indiana. Lissie is the exception to the rule. A while back, Lissie left her home in Rock Island, Illinois and moved to Colorado to attend Colorado State University. Then, the talented singer/songwriter/guitarist headed to Southern California to pursue a music career there. But she never abandoned her down-home roots. Now, Lissie, whose full name is Elisabeth Corrin Maurus, is back in the Midwest — living on her own farm in northeastern Iowa. Lissie’s latest project is “Castles,” her fourth full-length album. It was released in March 2018 on Lionboy/Thirty Tigers. Additionally, the album’s hit single “Best Days” hot the Top 10 on Triple A Radio. Lissie’s relocation to the Hawkeye State informed her new album. Written predominantly from Lissie’s farm in northeast Iowa, “Castles” represents a new openness in her approach to songwriting and recording. Having moved out of the music industry machine and back to her native Midwest, the grounding she found living and working on a farm ushered in a period of exploration. “Castles” is a portrait of an artist who has always been on the move and is finally creating a sense of permanency. 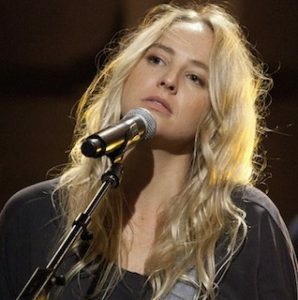 The album was also informed by some painful, personal problems Lissie had experienced in recent years. “Going into the writing of ‘Castles,’ I had been in this confusing and painful relationship,” said Lissie. “I knew that it wasn’t going to work out – that it was unhealthy. Emotions and words were coming in real time as I dealt with that relationship. “I sang my feelings around the house. It allowed me to create in a natural way – out in nature planting trees and gardening. Music was a byproduct of the environment. Other creative activities informed my ability to write from a stream of consciousness. Fans from around the country consistently tell Lissie how relevant the songs are to their lives. Lissie received help on “Castles” from old friends like Bill Reynolds (Band of Horses) and Martin Craft, Jim Irvin, Julian Emery and Curt Schenider (who worked in a large capacity on her previous album “My Wild West”), as well as new collaborators like producers AG and Liam Howe. “When I moved back to Iowa, people expected an acoustic album,” said Lissie, who also appeared in the most recent season of David Lynch’s “Twin Peaks” television show. Lissie has toured a lot in support of her latest album. “I toured the states, dis a European tour and played festivals,” said Lissie. “Now, ‘Castles’ is wrapping up. I’ve made four studio albums in 10 years. “In April, I’ll release a new album – a piano/vocal album. It will have re-interpretations of my songs from the last 10 years along with a few covers. In February, I’ll start releasing songs from it. “I recorded a lot of the album in Berlin. When I was on tour in Europe, I’d stop in Berlin for a few days. Two different guys played piano on it. All the Berlin tracks were recorded at Martin Craft’s studio there. Video link for Lissie – https://youtu.be/YgyuYgoamfo. The show at Sellersville, which has Maggie Pope as the opener, will start at 8 p.m. Tickets are $25 and $39.50. 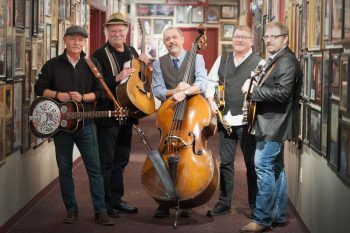 On January 25, the Sellersville Theater will present a concert by the legendary bluegrass band Seldom Scene. 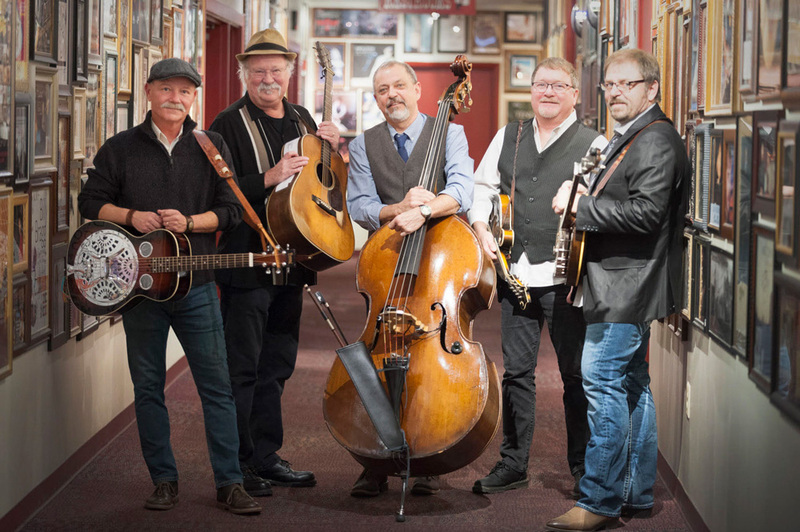 “We visit the Sellersville Theater every other year,” said Seldom Scene guitarist/vocalist Dudley Connell, during a phone interview Wednesday morning from his home in Gaithersburg, Maryland. Fans will get to hear new Seldom Scene songs. “The Scene’s first record for Rounder Records is coming out in March,” said Connell. “We just finished mixing the last song on Saturday and it’s now getting mastered. “This album is kind of a big deal for Seldom Scene. It’s a departure from what we’ve done in the past. It’s a record of old folk tunes – singer/songwriter stuff from the 60s and 70s…the time of Townes Van Zandt, Bob Dylan and John Prine. We’re just digging back into the realm of singer/songwriters from that era. Seldom Scene has been playing Americana music a long time – longer than the term “Americana” has been in existence. 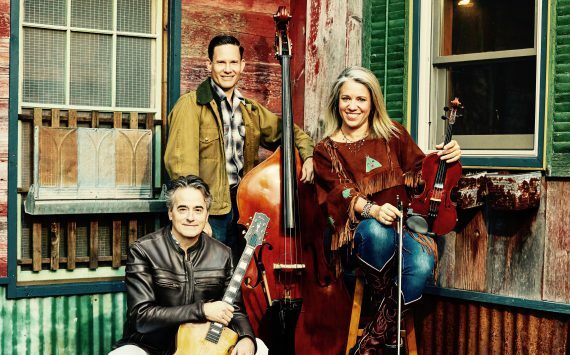 The band formed out of the weekly jam sessions in the basement of banjo player Ben Eldridge. These sessions included John Starling on guitar and lead vocals, Mike Auldridge on Dobro and baritone vocals, and Tom Gray on bass. Then mandolinist John Duffey, was invited to the jam sessions at the time when Auldridge arranged for the group to play as a performing band. Each of the band members had a job during the week. So, they agreed to play one night a week at local clubs, perform occasionally at concerts and festivals on weekends, and make records. “We recorded ‘Long Time’ at Bias Studio in Springfield, Virginia,” said Connell. “We don’t do a lot of writing ourselves, but everybody has a say in what we play and what we record. It’s really democratic. Video link for Seldom Scene — https://youtu.be/4Y_ySz30ACI. The show at Sellersville, which has Midnight Flyer as the opener, will start at 8 p.m. Tickets are $29.50 and $45. 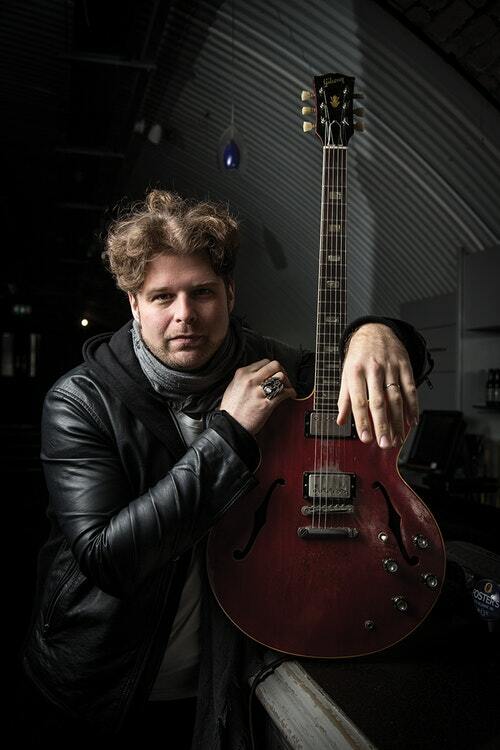 On January 30, the Sellersville Theater will present JD Simo. In August 2018, Simo blew the roof off the venue with his blistering set and he’s coming back to do it again. Simo grew up in Chicago’s North Side and began playing guitar before he even started elementary school. In 2006, he moved to Nashville, where he established himself as the lead guitarist in the Don Kelley Band. This led to Simo’s employment as an in-demand session musician. In 2010, he joined bassist Frank Swart and drummer Adam Abrashoff to form the rock band SIMO. The band spent much of 2011 on tour and released its debut album in November 2011. SIMO’s third and final album was “Rise and Shine” in 2017. Since then, Simo has been recording and touring with his own band – including a tour that is headed this way. “We just left this morning,” said Simo, during a phone interview Monday afternoon. “We’re riding now. The tour starts Thursday in Rhode Island and Nashville is a long way from Rhode Island. But, it’s all good. Once we get to Rhode Island, everything is close. We’ll tour the Northeast and then do the South. “We’ll be in Europe for a few weeks and then come back to do the Southwest and the West Coast. Fortunately, we’re playing the Sellersville Theater on this Northeast swing. It’s one of the nicest venues in the country. “The band is just a trio. It’s pretty much always been a trio. I have always preferred the trio format. When Buddy Guy was touring in the 60s, it was always a trio. When Magic Sam toured, it was always a trio. Playing in a trio is pretty wide open. It’s fun. And, it makes it really easy to improvise. You can really get out there. Simo is touring in support of his new album “Off At 11.” Produced by Simo with his co-manager Michael Caplan, the album features eight tracks that are laid out on the record like a musical journey through a land populated by acid rock, traditional blues, folk, soul, free-form jazz. “I made the album throughout last year at my home studio – old school style,” said Simo. “I wanted to make an old school blues record. And, I wanted to go to Mars. When I was touring in Phil Lesh’s and told him that, he said – JD, you can do both. The Phil Lesh & Friends band always does a lot of improvisation. Video link for JD Simo – https://youtu.be/J1guSRTv-78. 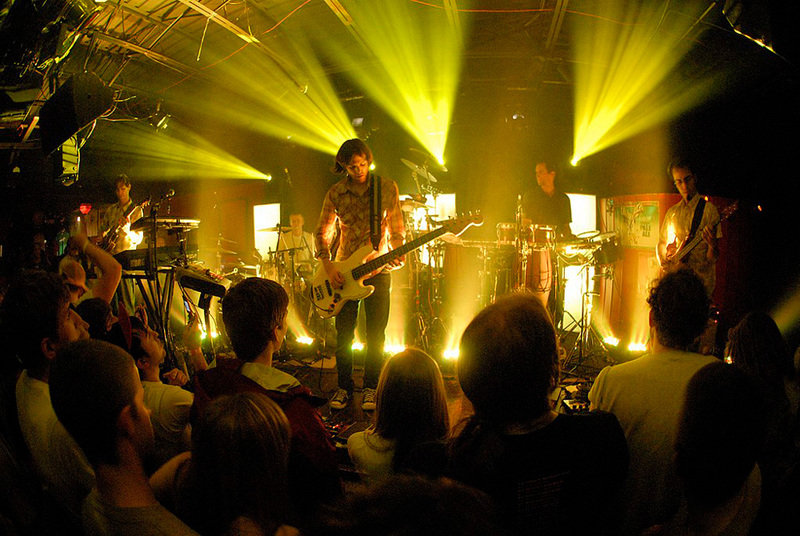 The show at Sellersville, which has Chronic Wolf as the opener, will start at 8 p.m. Tickets are $21.50. Now, the band, which is based in Denver, Colorado and Philadelphia, will be in Philly for a pair of shows on January 25 and 26 at Union Transfer (1026 Spring Garden Street, Philadelphia, 215-232-2100, www.utphilly.com). Even though this is the band’s first area show since the release of “Frames Per Second,” the live sounds of the album have already been floating in the ether in downtown Philadelphia. The all-instrumental 19-song studio album and accompanying documentary were tracked live at Rittenhouse Soundworks in Philadelphia with cameras rolling. The project was designed to showcase Lotus in a pure, raw form — live in the studio. Norwegian space-disco and psychedelic rock are just some of the sounds that influenced the expansive audio and video project. It was the 14th album by the quintet — Mike Greenfield (drums), Jesse Miller (bass, sampler), Luke Miller (guitar, keys), Mike Rempel (guitar), and Chuck Morris (percussion). “Some of us still live in Colorado where the band first started,” said Luke Miller, during a phone interview last week from his home in Denver. “Mike G and Jesse are living in Philadelphia. “In summer 2017, we got together and started rehearsing songs. Then, we got together later that year in December for two days rehearsal and four quick days in the studio. “We chose to do the project in Philadelphia because all our gear is in Philly and there are good studios there. Our usual recording process is smaller, and we’ve used Miner Street Studio. This time, we used Rittenhouse Soundworks in Germantown. “The songs were all written by the time we went in the studio in December 2017. Most of them have sections that are improvised – but they’re contained in the structure. For this one, we wanted to do something that would reflect our live performance – doing it in the studio. ‘It was challenging to get a good take because everyone was playing at once. On our previous album, there was a lot of collaboration and it was done track-by-track. This was the antithesis. The album and the video were recorded simultaneously. For “Frames Per Second,” Lotus aimed to incorporate pyschedelia into the album’s sound by combining hypnotic beats with unexpected harmonic or timbral turns. The band also put its own spin on different classic funk styles, like 70s Fusion, West Coast G-Funk, Instrumental Soul, Boogie, and 80s Electric Funk. The recording process featured Lotus playing “live” without a live audience. According to Miller’s twin brother Jesse, “‘Frames Per Second’ is a different project than we’ve ever made before. I hesitate to even call it an album. I see it more as a documentary of our current composing and playing. The guiding theme was the idea that we would record live in the studio with cameras filming. Video link for Lotus — https://youtu.be/oSz4f6Z3aU0. The shows at Union Transfer on January 26 and 26 will start at 9 p.m. each night. Tickets are $25 either night. Other upcoming shows at Union Transfer are Amen Dunes and Arthur on January 30 and Liquid Stranger on January 31. If there ever is a time that Matt and Kim need to put on a really hot show, it will be on January 26 when the duo performs at Xfinity Live! (1100 Pattison Avenue, Philadelphia,www.xfinitylive.com). Matt and Kim – Matt Johnson and Kim Schifino — will be performing live outdoors at 3 p.m. with the temperature expected to be just below freezing – and going down as the day goes on. They will be performing as part of a free show – the “Radio 104.5 Winter Jawn,” which also features Young The Giant, lovelytheband, and The Interrupters. The last time Matt and Kim played Philly, it was nine months ago – indoors at the Electric Factory. Matt and Kim suffered a major setback in 2017. The duo was performing last March at the Vaiven Festival in Mexico when drummer Kim Schifino suffered a traumatic leg injury onstage. Schifino jumped from the stage platform and saw she was about to jump on someone. When she landed, the top half of her leg went in one direction and the bottom half headed in another direction. “Kim had a serious injury – a torn ACL and meniscus,” said Johnson. “We got onstage, and it happened in the first 10 minutes of the show. “That pretty much took us out for an entire year. Before that, we were either recording or else on the road non-stop. I think that up to that point, the longest we were ever off the road was four months. “We are just now starting to tour again. That was such a long time off. I felt like I had retired. “We thought we’d use the time to work on music. But, the first few months, we were focusing on recovery – surgery and learning to walk again. We thought we could use the time, but we had to split the focus. “With my brain, I can only focus on one thing. Songwriting has to be the main focus if I want to write songs. Maybe three of four months after Kim’s surgery, we started to put our heads down and write some songs. But Matt and Kim are troopers and they kept pushing ahead. Matt and Kim’s trademark upbeat music didn’t suffer from the setback. Instead, the duo created a tasty and lively new album called “Almost Everyday,” which came out last May on the Fader label. “With songwriting, a lot of times, I’ll start the idea and then Kim will crack the whip and make it faster,” said Johnson. “That’s her drummer mentality. She comes from a place with no rules. We also write lyrics together. Even though I sing the songs, a lot comes from Kim’s voice. “We made the album as we went along. We’d record at home and then bring the tracks to the studio. We cut it mostly at a studio in North Hollywood. “Most of it was done in the second half of 2017. We had 30 songs when we started — 15 got finished and 10 went on the album. I only ever want to make 10-song albums. I want people to listen through without stopping. 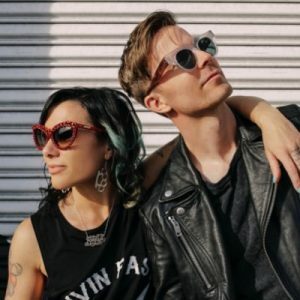 Video link for Matt and Kim – https://youtu.be/JyVzPx4ecHA. The show at Xfinity Live! will run from noon-5 p.m. Tickets are free. It is an Outdoor Show and will be held rain or shine or snow. Kennett Flash (102 Sycamore Alley, Kennett Square, 484-732-8295, http://www.kennettflash.org) will present Upstate and Under the Oak on January 24, Benefiddle – A Concert to Benefit Davey Poland with Blue Corn Dawgs, Brad Newsom & Friends, Brandywine Valley Green Grass Ramblers, Buffalo Chip and the Heard on January 25, Beatlemania Again – A Tribute to The Beatles on January 26, and The Hot Club of Cowtown on January 29. The Steel City Coffee House (203 Bridge Street, Phoenixville, 610-933-4043, www.steelcitycoffeehouse.com) will host Christine Havrilla on Jabuary 26. Chaplin’s (66 North Main Street, Spring City, 610-792-4110, http://chaplinslive.com) will present All Good People on January 26. The Ardmore Music Hall (23 East Lancaster Avenue, Ardmore, 610-649-8389, www.ardmoremusic.com) will have Big Something and Passafire on January 24, Broken Arrow with special guest AM Radio on January 25, Splintered Sunlight on January 26 and Crack the Sky on January 27. The Keswick Theater (291 N. Keswick Avenue, Glenside, 215-572-7650, www.keswicktheatre.com) presents Neko Case on January 25. The Annenberg Center (3680 Walnut Street, Philadelphia, https://annenbergcenter.org/events) presents Martha Graham Dance Company’s “The EVE Project” on January 25 and 26. The Locks at Sona (4417 Main Street, Manayunk, 484- 273-0481, sonapub.com) will feature Matt Santry and Everything Turned To Color on January 26.